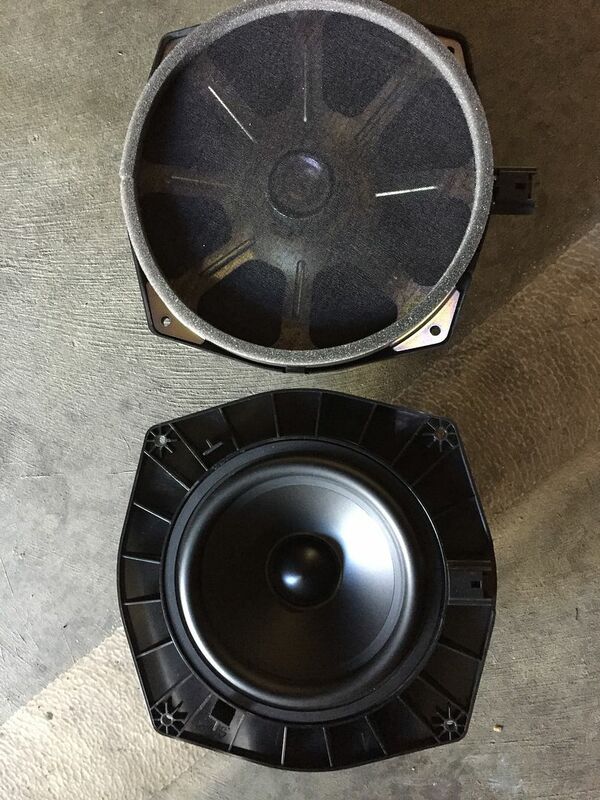 Ok some newbie questions here, i have new truck coming with 22 speaker meridian sound system. How do i get best possible sound out of it besides CDs ? I have a iPhone 7 plus with lots of storage. Im not up on Spotify and iTunes. 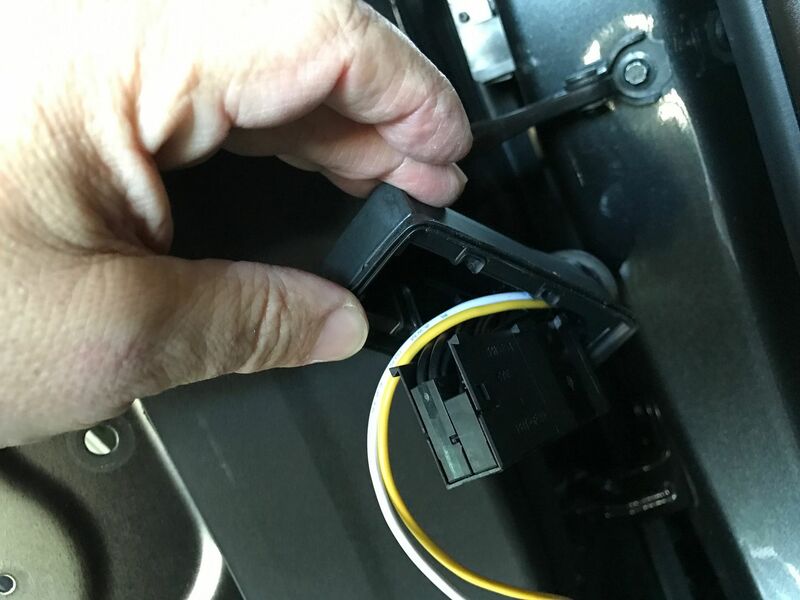 Can i plug phone into truck so its not blue tooth? Any thing else? Also if i have music video will it play on dashboard and were would download if its possible? I really have no idea about your questions. I am pretty sure you can plug in the phone with a USB cable under the center armrest. 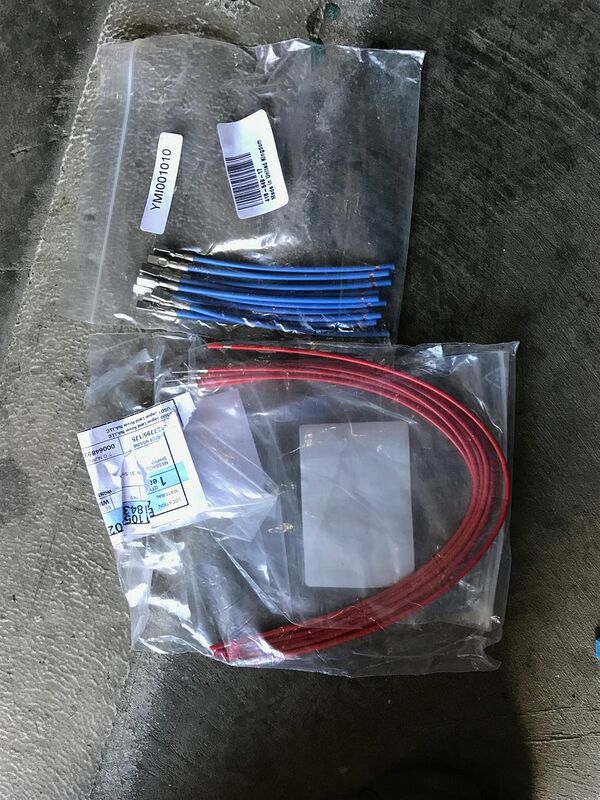 After chewing on this issue and talking with the parts department I came to the conclusion the two best ideas are either order new door wire harnesses (that have the upgraded stereo wiring in them) or order the pin connectors (1 and 13) which come with a wire lead attached (I think 12" in length). Much cheaper to order the pin connectors (they come in 10 packs) and of course pin #1 and #13 use different pin connectors - go figure. So that is what I did. My plan is to pull the two connectors thru the wire harness up to the connector and install the pins into their slots. How you ask? 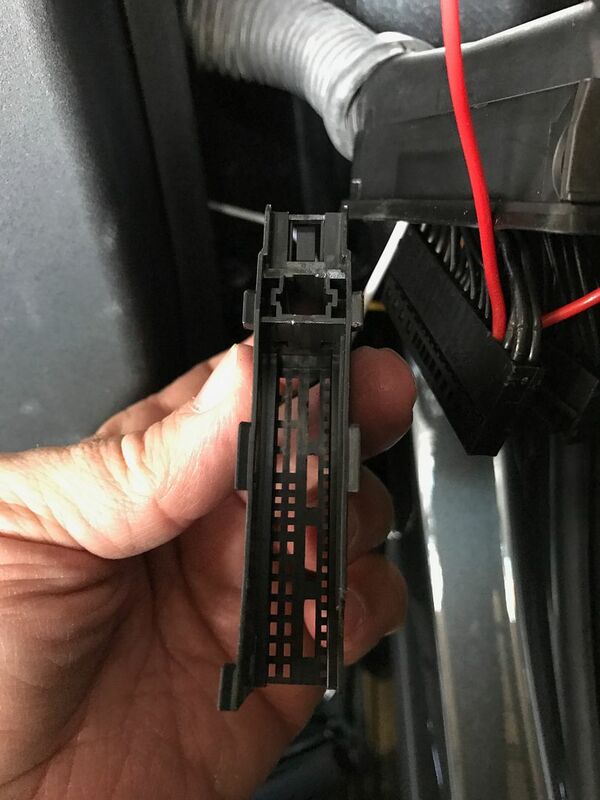 Good question and will need to figure out on the fly - my guess is will need to remove the entire harness from the door so I can straighten out the rubber connector hose that connects the door to the body and use a hanger to pull the wires thru it, then install the pins, then reinstall the harness. 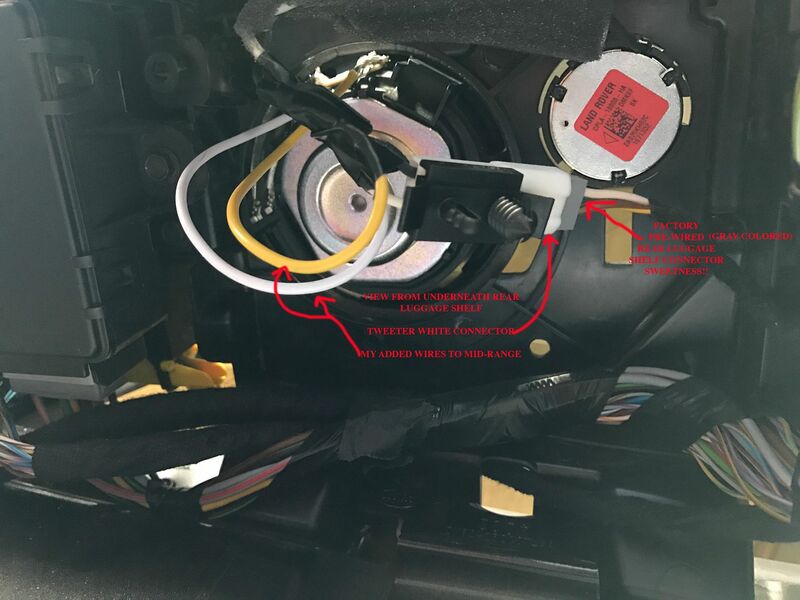 My first attempt will be to try pulling the wires thru while the harness is still installed on the door but there its little to no room between the door and body to work on the connector. Pins are two weeks out.......coming from the UK of course.....More to come. Was just looking for best possible sound in truck. I guess plugging phone into truck will have best sound as opposed to using pandora . Having songs saved on phone and plugging into truck will give best sound. Aslo using cds will give best sound. Was just looking for cleanest play of music. I assumed steaming music would lose sound quality. Sorry for confusion. Here's how today went....and the pin connectors were definitely the way to go! Removed the driver's side door panel. Then removed the large black plastic inner-cover that conceals the window glass and regulator inside the door. Pretty easy to do. 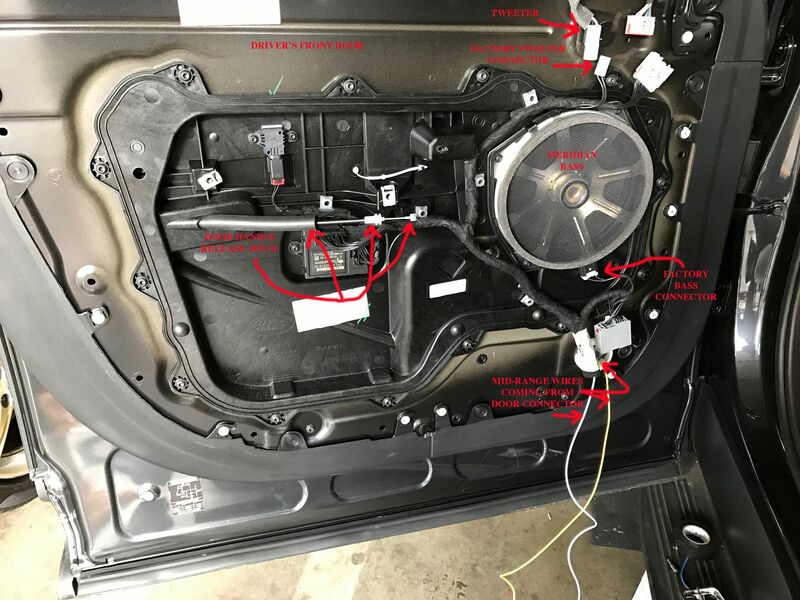 I then removed the door to body connector from the body and looked to see how the weatherproof cover comes off the inner connectors that have all the wires attached to them. All you needed to do is hold the cover in one hand and grip the inner connector with the other hand. Then push the inner connector forward and it disconnects from the cover. 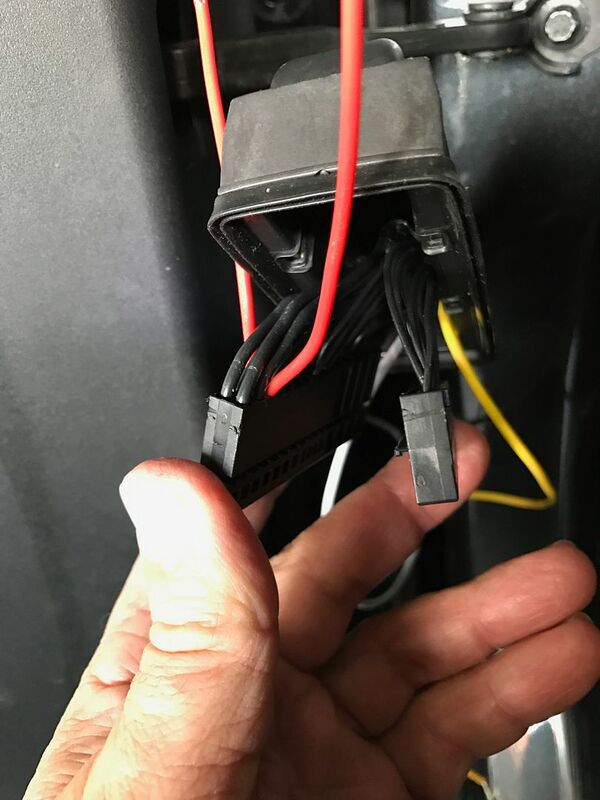 The inner connector is actually made up of two thin rectangular shaped connectors (all the wires are attached to these two pieces) with a U shaped piece plastic that holds the two thin connectors together like a sandwich. The U shaped piece just slides off and then the two thin connectors are completely exposed. 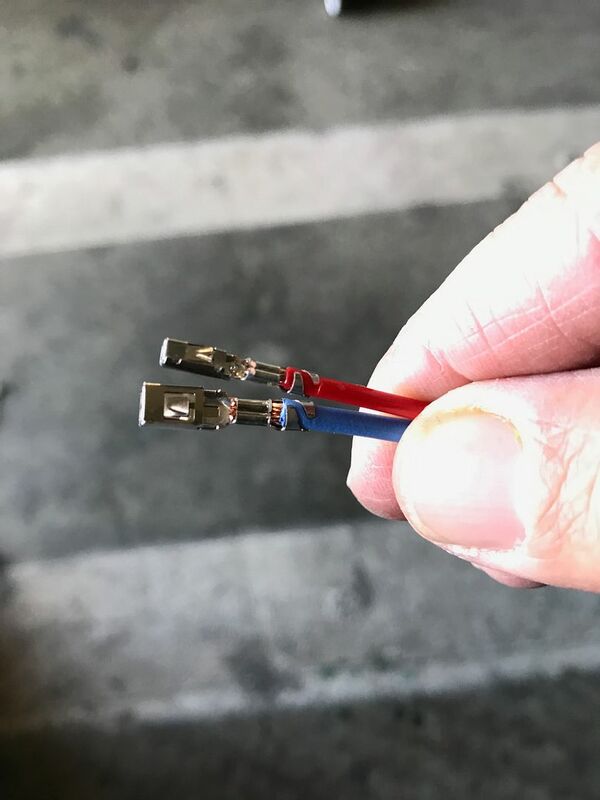 The two connectors separate from each other by sliding them apart. At this point I looked at pin locations 1 and 13 and there were wires in those locations. WHAT? 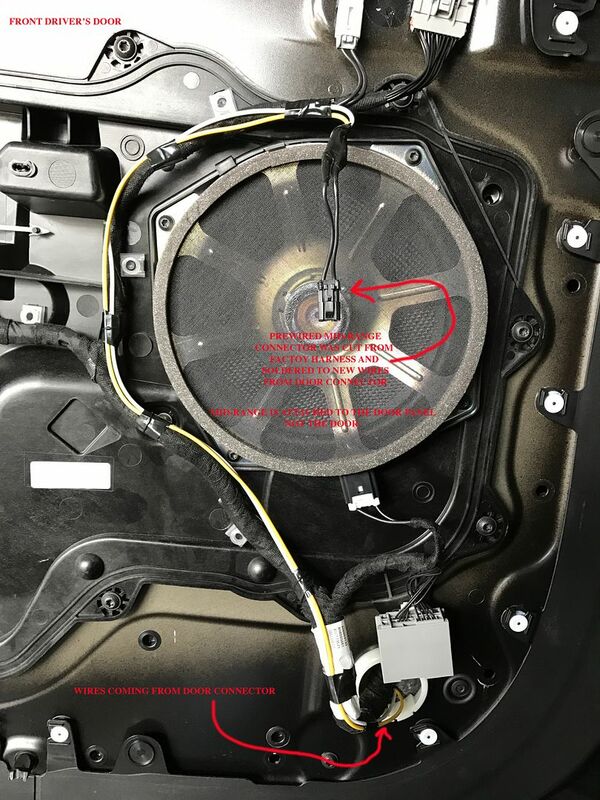 I went back to the wiring diagram and saw I made a mistake on the pin locations for the mid-range speaker at the door to body connector. 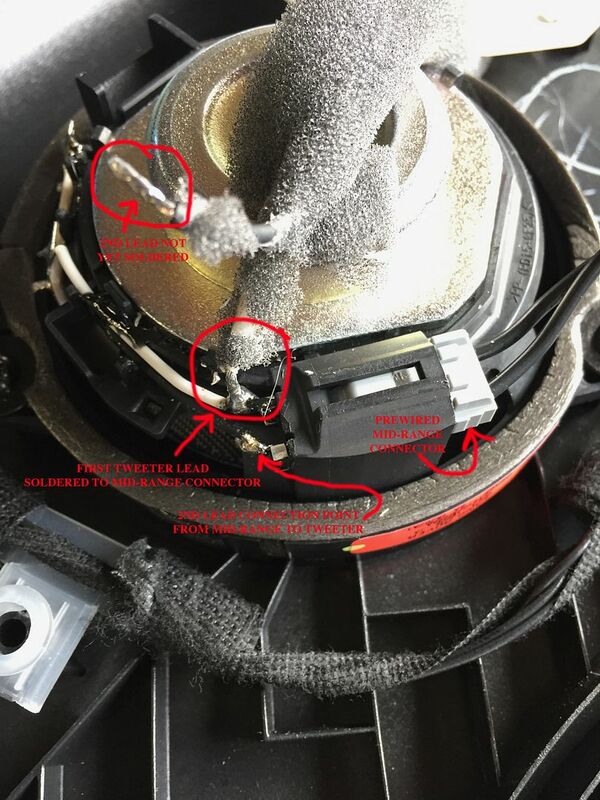 The correct pin locations for the mid-range speaker at the door to body connector are 3 and 18. 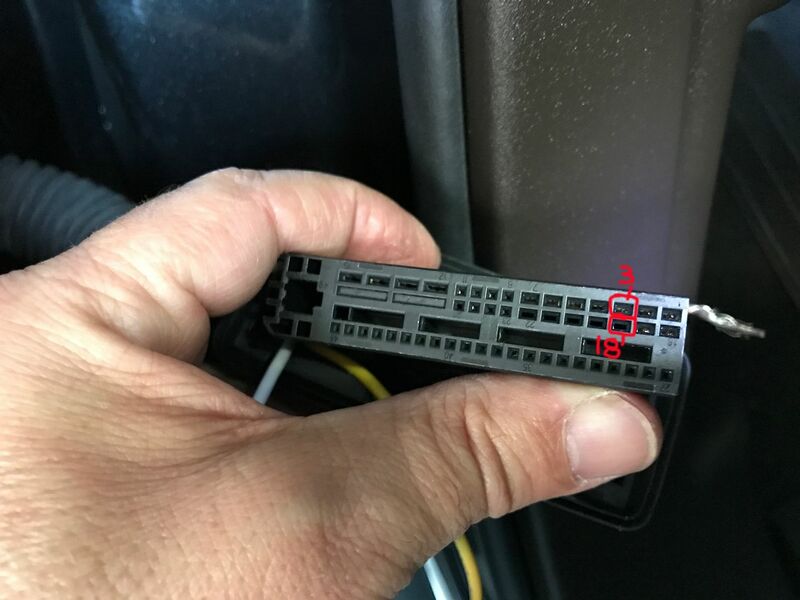 The good news is that 3 and 18 use the same connector part number. The pin connectors slide right into their locations (3 and 18 and with a little push down with a needle nose they seat correctly. 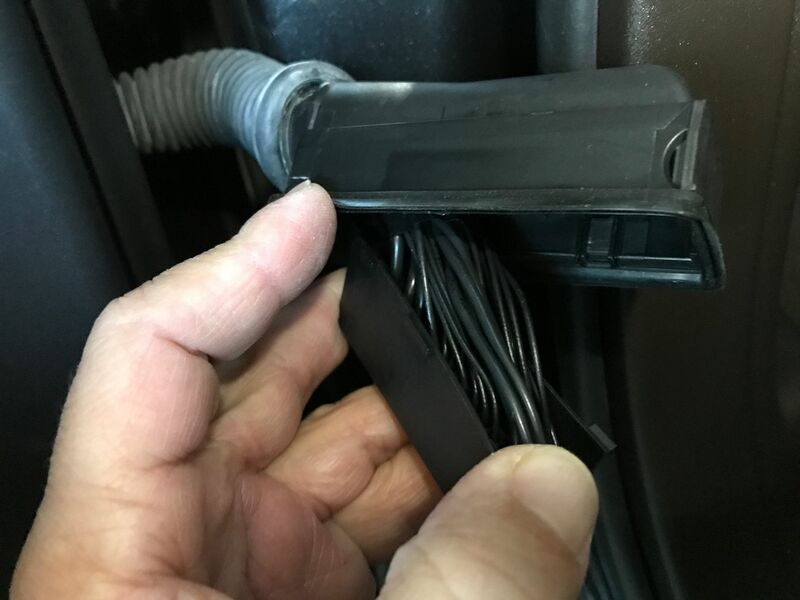 The next thing is to run new speaker wires from inside the door, thru the rubber hose that the wire harness runs thru and into the weatherproof cover of the door to body connector. I used a piece of metal clothes hanger, taped (with electrical tape) the two new speaker wires to it. Then used liquid dishwashing soap to lube up the tape/wire/hanger and pushed it thru starting from inside the door. It went all the way thru to the weatherproof cover fairly easy. 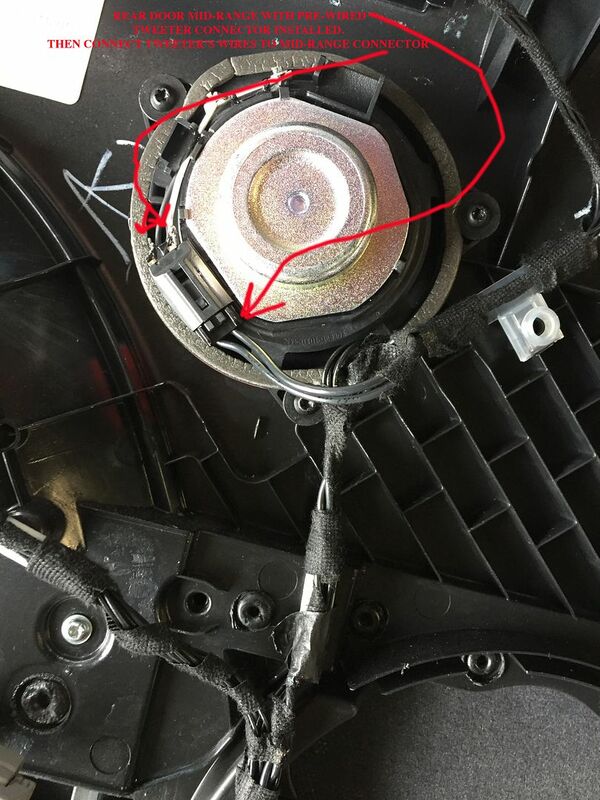 Removed the tape and pulled the hanger all the way out. Then soldered the new speaker wires to the leads of the pin connectors. MAKE SURE YOU REMEMBER WHICH PIN IS IN THE #3 LOCATION AND THE #18 LOCATION SO YOU GET + AND – POLARITY RIGHT WHEN CONNECTING TO THE SPEAKER. I then reassembled the door connector and connected it back to the body. 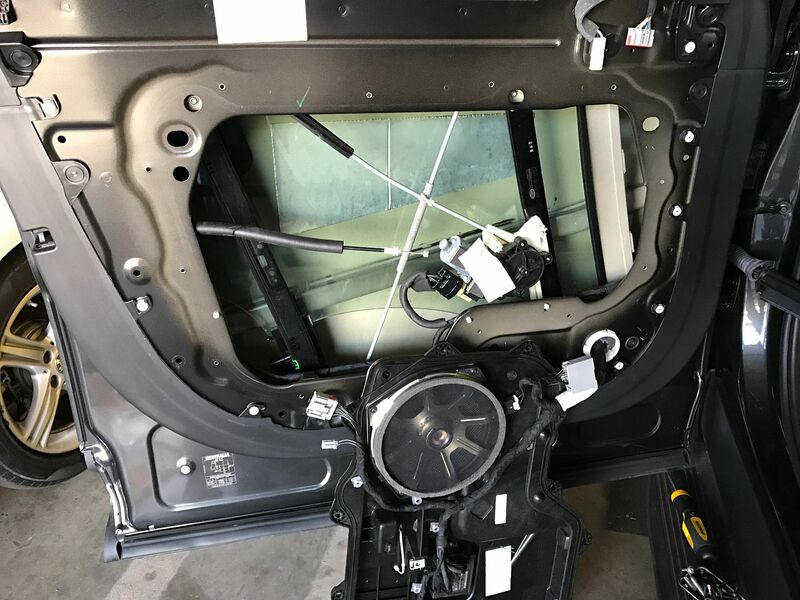 Next was routing the new wires from inside the door area (where the window and regulator is located) to outside that area. I punched thru an existing rubber grommet that the door harness wiring uses. I then taped the new wires to the wire harness (in the window and regulator area) so the wires would not flop around. After that I reinstalled the large black plastic inner-cover which seals off the window/regulator area. Then I ran the new wires along the existing wires harness and taped them along the way. 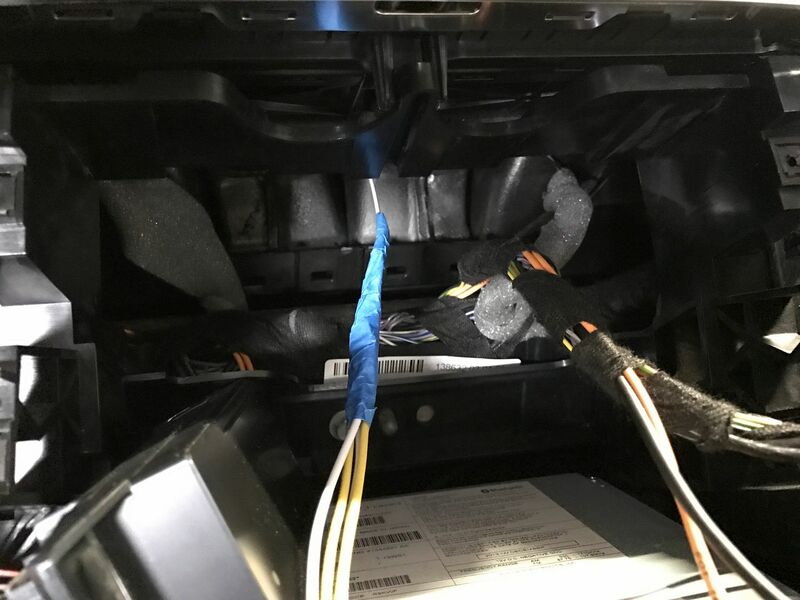 I used the pre-existing (pre-wired) mid-range connector by cutting it off the factory wire harness and soldered it to the new speaker wires. Then connected it to the mid-range. Last bit was reinstalling the door panel. It took me about two hours to do the driver side front door and 30 minutes to do the passenger side door once I had it all figured out. Any idea how much it ended up costing? I'd be interested to know as well. 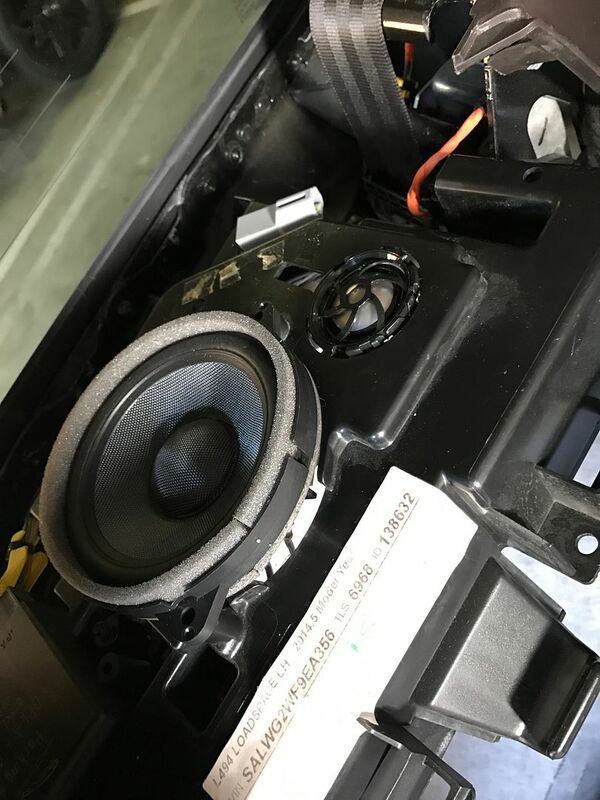 My local car audio dealership (which is known for their quality of work), quoted me $8k! 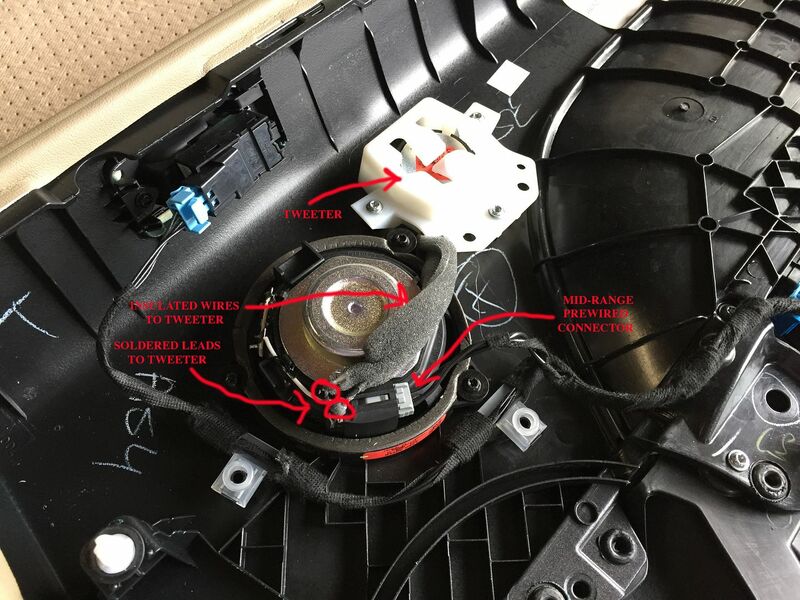 Here are some pics for the center dash mid-range and tweeter. 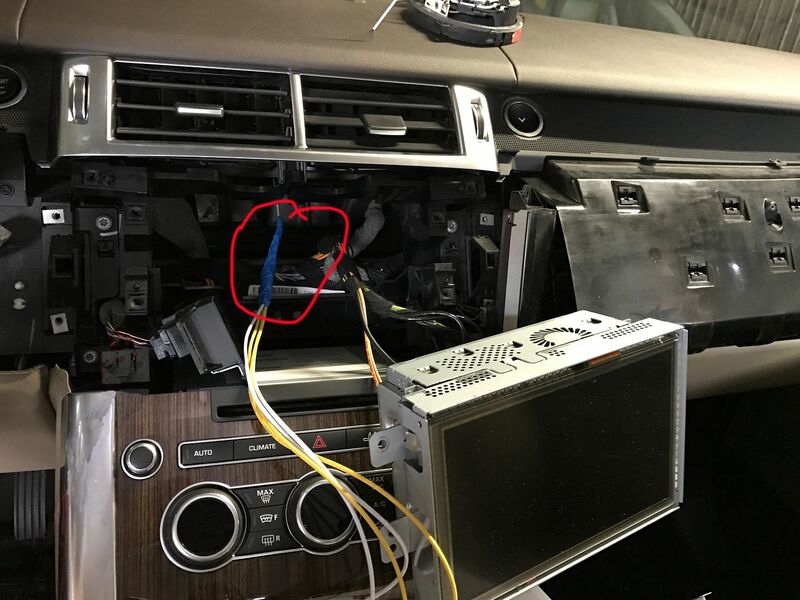 How the speaker wires get to the upper dash location on a direct run from the amp. Note each driver has it's own channel from the amp, hence the 4 wires. The mid-range mounts to the dash and the tweeter mounts to the dash grill. 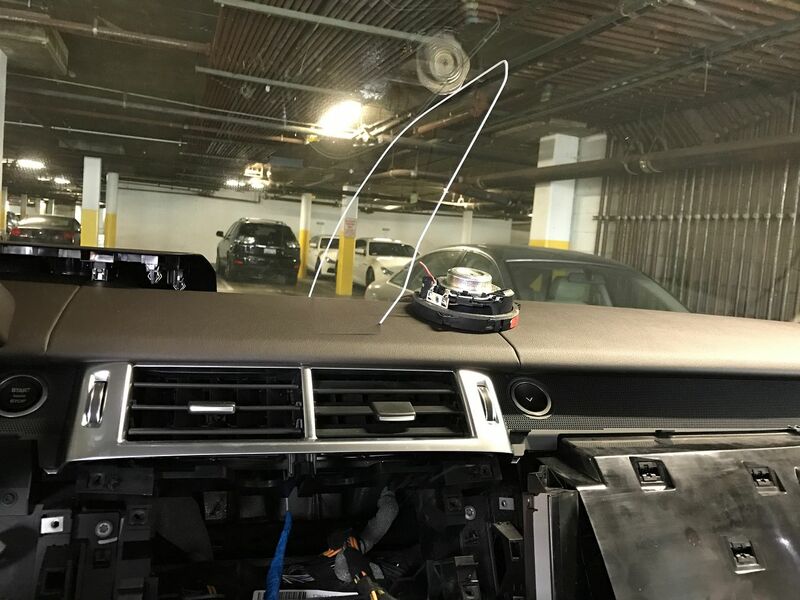 Yes, you need to drill the hole to route the speaker wires from the top dash down to behind the head unit. Here are pics of the rear luggage shelf install. Note there is a factory pre-wired connector to the two rear locations. However, like the rear doors in the car both the tweeter and mid-range run on the same channel from the amp. So I made an easy custom connector to wire them together. I did purchase the Meridian speaker cover rear panels instead of cutting the ones that came with the car. Here are pics of the rear doors install. Remember the tweeter and mid-range are wired together (no separate channels from the amp) while the bass speaker does have it's own channel. The car comes with the tweeter installed in the door panel and the bass installed in the door. The mid-range will mount in the door panel after you remove the Mickey Mouse place holder. 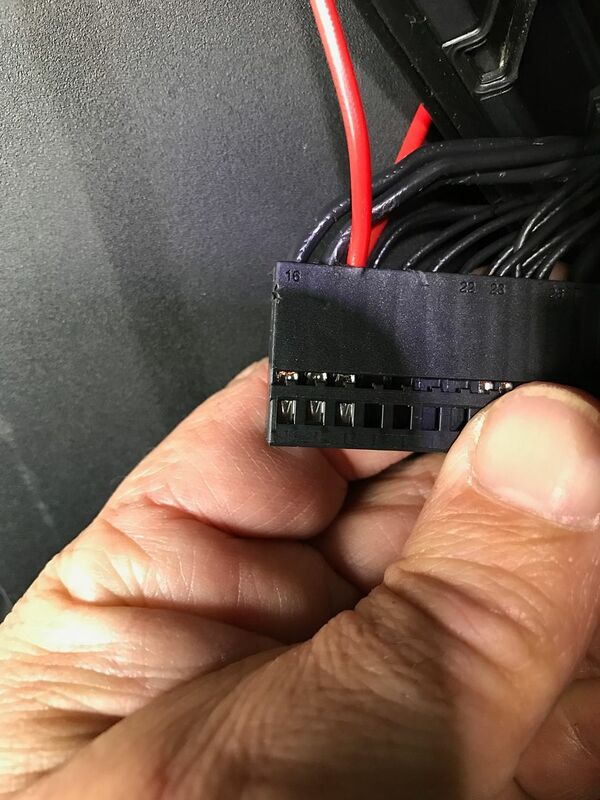 It's easy to take the car's tweeter prewired connector and attach it to the new midrange and then solder the new tweeter's wires to the mid-range connector. Okay, let's give the front door's door to body connector a go. It's not as hard as it looks. 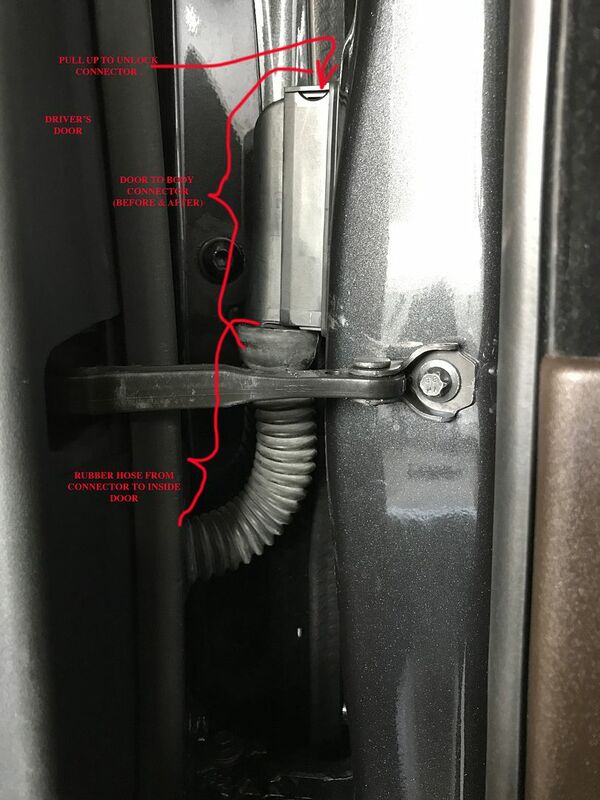 Here is the door connector attached to the body. This is how it looks before the mod and after - the mod is undetectable. Here is the face of the connector - Pins 3 and 18 carry the mid-range signal from the amp. This applies to both driver and passenger door. 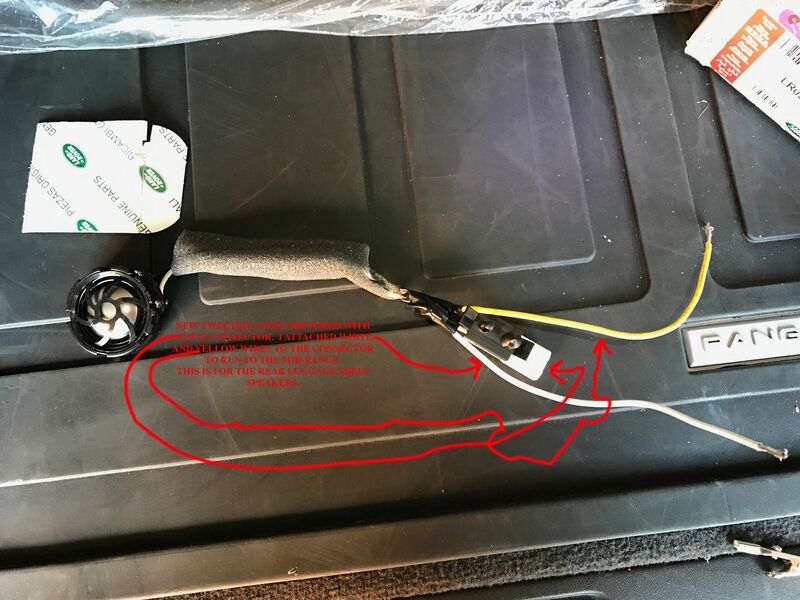 Here are my yellow and white wires snaked thru from the door to the connector. This is before you remove the U-shaped piece. 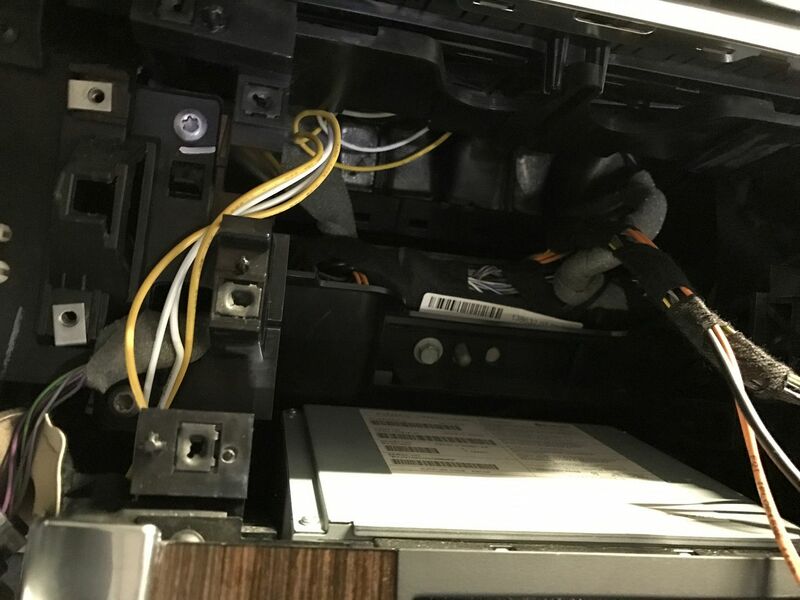 Here are the two pin connector rectangles separated (they slide apart once the U-shaped piece is removed - NOTE I have already installed pin #3 and #18 (red wire) and my white and yellow wires from door to connector. Here are the two red pin connector wires and my yellow and white wires ready to be soldered together and then pulled back into door to take up the slack. This is the finished connector ready to be reinstalled. 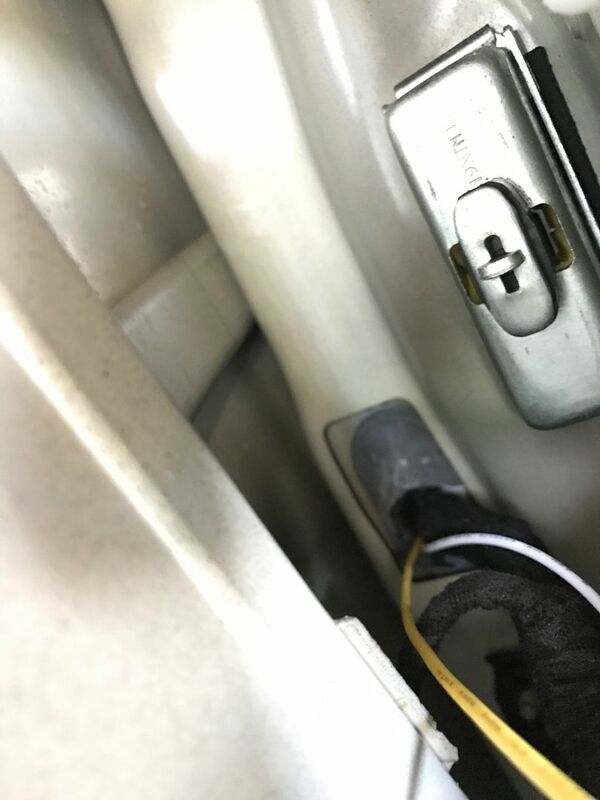 This is the drivers door ready to have the yellow and white wires snaked from inside the door to the door connector. 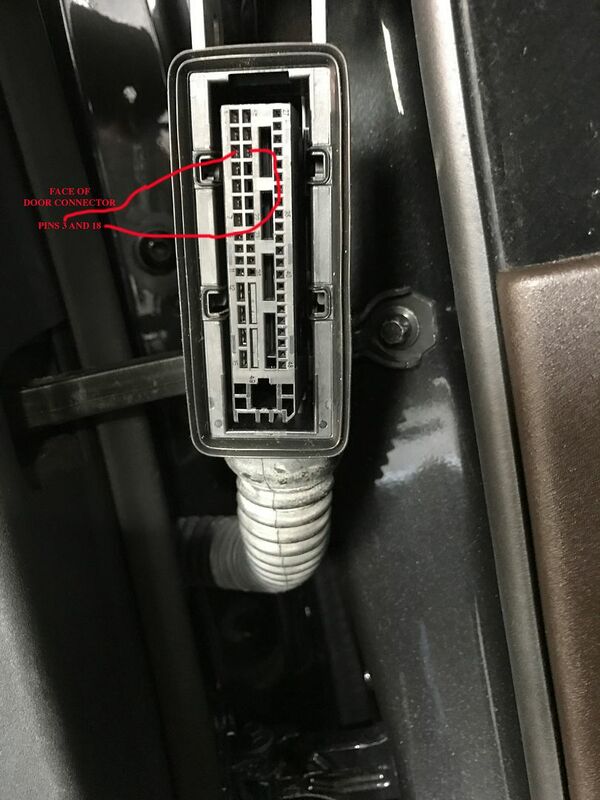 This is the location where the rubber hose from the door connector connects to the door. There is plenty of room to snake your speaker wires thru. I used a piece of a metal clothing hanger. Here are the wires cleaned up. Note I cut off the pre-wired mid-range connector from the wire harness and installed it onto my new wires (hanging in the middle of the bass speaker). Plug and play connection to the new mid-range. 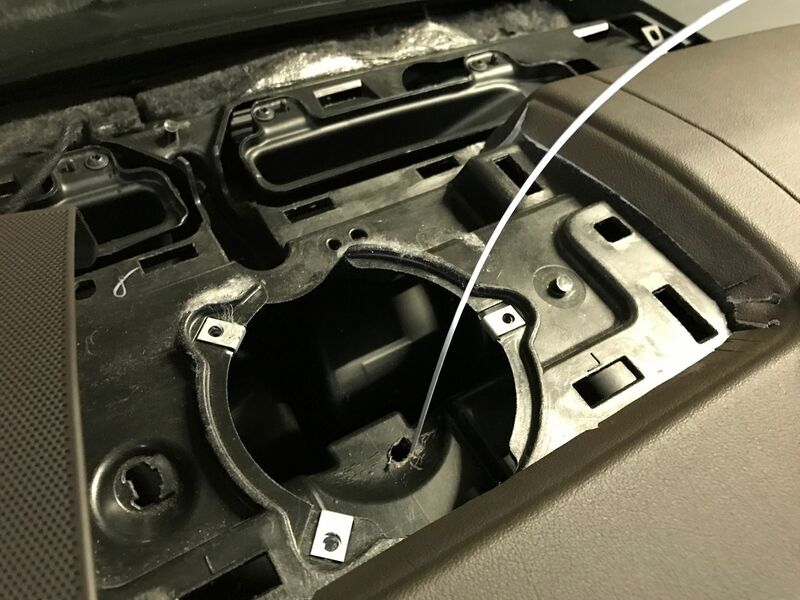 Note since the mid-range is installed on the door panel you need to have a way to disconnect it if you ever need to remove the panel (or the dealer needs to). You could run long wires but that seemed silly. 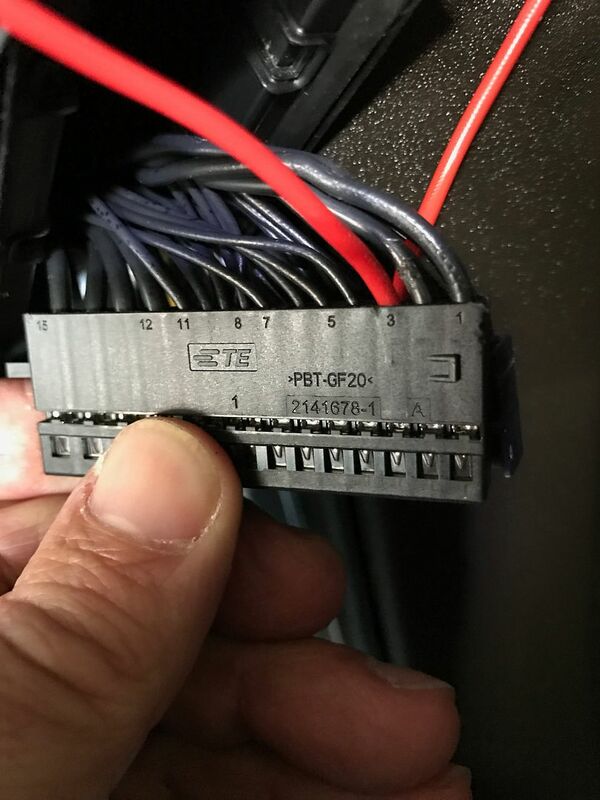 As I noted in the above install story I ordered the pins for 1 and 13 and only later after reviewing the wiring diagram those were incorrect and I needed 3 and 18. The good news is that pins 3 ands 18 used the same pin as #1. #13 is a much larger pin as you can see it below with the blue lead wire. Also interesting to note that some of these parts are the same between Jaguar and Range Rover, however, the Jag part is cheaper!! 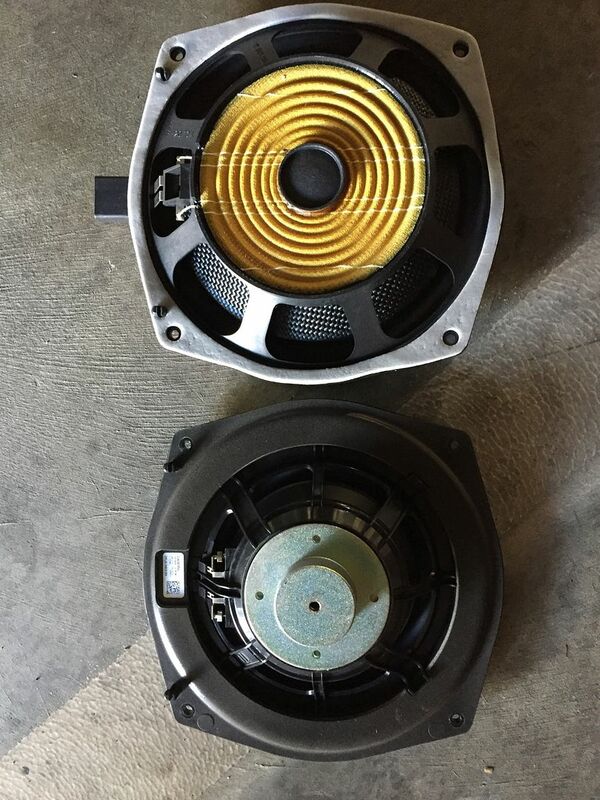 Here is a comparison between the base systems bass door speaker and the top of the line Meridian bass door speaker. Top is the Meridian and bottom is the base system. Thanks, I will total up shortly.